Living in a City that never sleeps means you have the opportunity to dine out every day and at all hours. However, study after study (summarized here) shows that dining out can pack on the pounds and put you at risk of not getting your full daily requirements of essential nutrients. So I try to balance out the nights out for events with a basic, nutrition-packed dinner at home. For example, tomorrow night we're looking forward to a wedding engagement celebration for one of the loveliest, chicest couples I've ever known. I'm frankly happy they are tying the knot because I get to keep the husband-to-be around. I've never met any one more charming or modest or talented. So last night, I prepared a meal high in omega-3 fatty acids, the anti-inflammatory lipids found in fresh fish primarily but also some nuts. 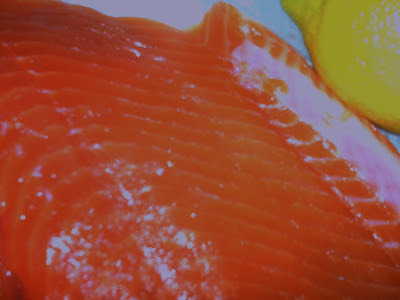 I started with wild Coho salmon. Wild fish is often richer in omega-3s because the stock eat plankton and not the grain-derived products that farm-raised ones get. For a fabulous summary of why we need omega-3s so badly these days (or grass-fed meat), this article sums it up. Basically, we're eating too many grains (rich in omega-6 fatty acids) for the last 40 years. 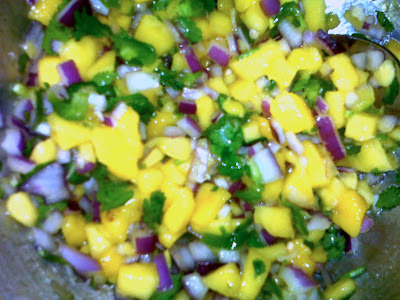 It includes chopped red onion, jalapeno peppers (my household loves hot food; if every bite makes me sweat, I'm satisfied) and cilantro. Unlike some friends, we clearly don't carry the gene that finds cilantro nauseating. 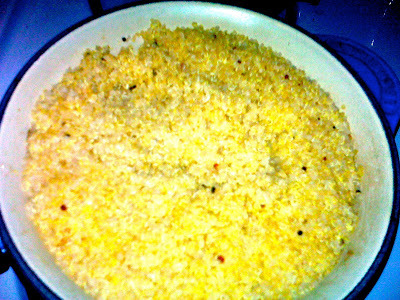 Finally, I made a side of quinoa. It may look like a grain and cook like a grain, but quinoa is actually an ancient dish that's more seed-like in origin than grass-like. Plus it's packed naturally with protein and essential amino acids (meaning compounds that our bodies don't naturally produce and we can only get by ingesting food). Just be sure to wash the quinoa before you cook it. This removes a bitter, natural pesticide that coats each granule. Yummy in my Le Creuset. Voila!